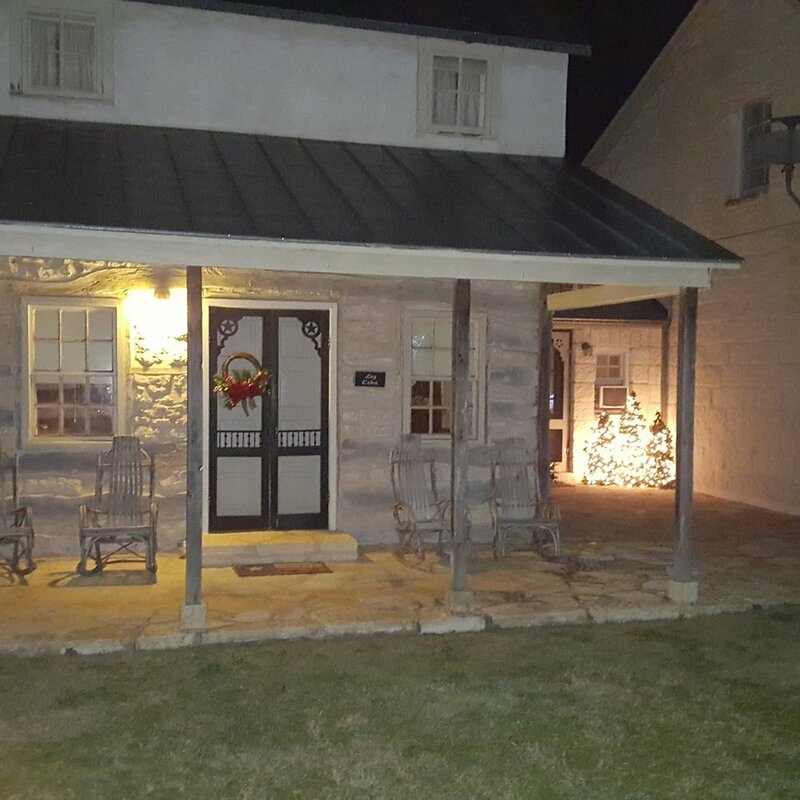 This Fredericksburg, Tx Texas Cowboys and Indians cabin offers the atmosphere of a resort while taking a step back in time to the days of Cowboys and Indians. 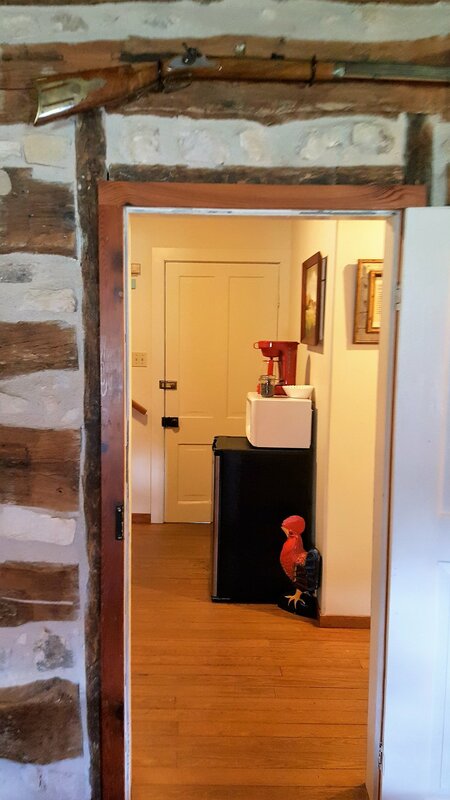 This elegant and original 1850’s Log Cabin is the ultimate Bed and Breakfast hideaway. Two large bedrooms make this log cabin ideal for two couples traveling together. A King bed is located downstairs and a Queen bed is upstairs. The Texas Cowboys and Indians Log cabin has one bathroom and features an antique claw foot tub with shower. We can book the log cabin just for two persons or four.